DJ, Club Promoter and Blogger, Todd Hart talks about the rise of Afro Beat in London’s savvy party scene. Pointing out a trend is a bit like saying a particular cloud looks like a hedgehog. You hope that the trend you see actually looks like a trend to others. But maybe you just want to see a hedgehog anyway. That's a bit the way I feel about the growing hipness of African music. It's always been here and lots of parties have always been going on - London has lots of really big African bands who make their home here. But recently it really seems to be a trend. About three years ago it seemed like everyone was talking about Brazilian beats like Baile funk and their cousin Bmore (from Baltimore, US). I feel like that trend kind of ran out and people looked to Africa next. 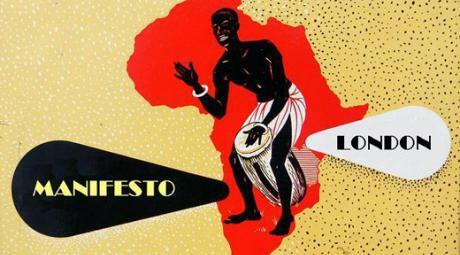 No longer is African music just for "world music" types. Now there are tons of clear African influences in pop. Vampire Weekend is probably the biggest example and though they first appeared in the UK on my little music blog last year they were in the Londonpaper when they last came to town (the true sign of reaching the masses). MIA is another good example. Her first album had lots of Brazilian influences whereas the most recent album has done some crossover work with African artists such as Afrikan Boy. The other big music producer that has done work with lots of big artists like remixes for MIA, Mika, etc. and others is Radioclit. They are actually producing a real African artist from Malawi called Esau Mwamwaya and Fader magazine recently did a big issue on African music with him on the cover. And of course, probably the best example of barnstorming the dance world is Buraka Som Sistema and DJ Znobia, who provide a portal through Portugal in Europe for the former Portuguese parts of Africa to bring their crazy Kuduro sound and wacky dance videos which are all over youtube. Some other "indie" bands that feature African influences include the Foals, Dirty Projectors and El Guincho. And beyond this, there is a lot of genuine innovation going on in African dance music. Genres such as Kuduro, Coupe Decale, Funana and Kizomba are producing tracks that are a cross between techno, electro, original African rhythms and general dancefloor craziness. You can read more about it here. But the best sign that a trend exists is that it is not just in music where there is some signs of African hipness. These days, to be really hip in the music world, you have to have a connection to the fashion scene because parties become hot or not so fast. The crossover into fashion is probably not as obvious or intentional. The most obvious person who is probably even intentionally using african/world influences in her fashion is Cassette Playa who has sold in Dover Street Market and has been part of Fashion East, part of the crew of friends that includes the Wowow art collective and is close friends with the fashion music set such as MIA. I also think that David David's stuff, while he undoubtedly would not have probably been consciously influenced by african imagery has african patterns in it. Coinciding with these influences is a bunch of hip new african parties. The Manifesto party which has been going strong now for about a year with packed crowd every Tuesday at the Burlington Club in Mayfair. These parties feature a fashionable west end crowd mixed with real bands from Congo and Zimbabwe, among other countries. Radioclit has started a monthly Secousse party at the Notting Hill Arts Club that is more of a world music party but usually features lives african bands. And there is lots of talk of african festivals this summer. White Mischief will feature lots of african music in its extravaganza party on 7 June. And recently I opened for Beyond the Wizard's Sleeve playing an all african music set at Fabric club on the same night as Soulwax. How about them apples? Here is a list of 5 tracks that I think are hot African dance tracks.